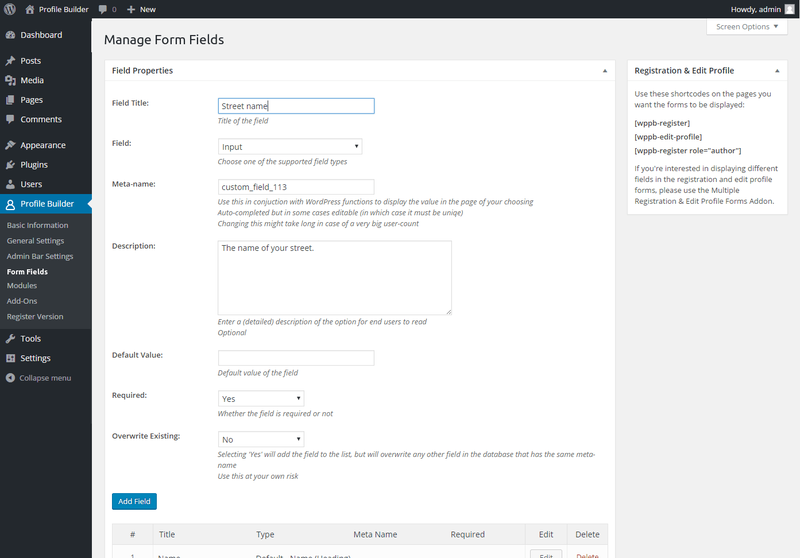 You can use this extra field type to allow users to freely enter short text. This is how it would look like in the front-end. 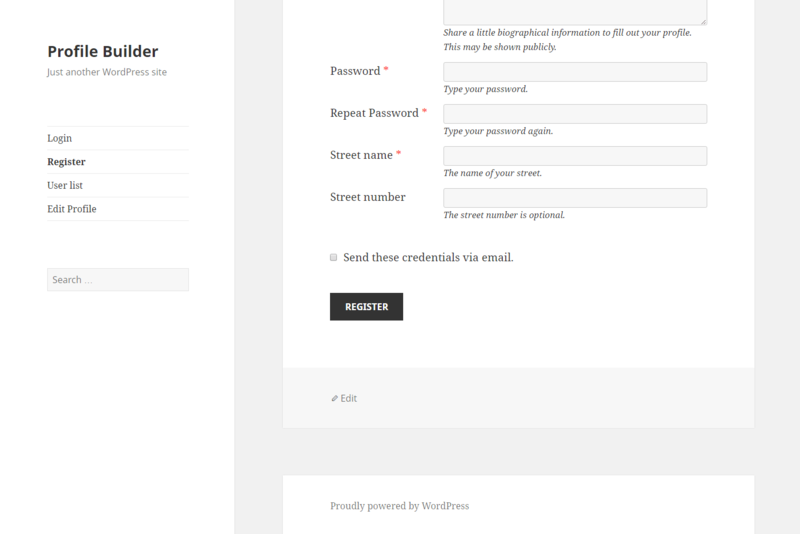 Below you will find 2 extra fields of type Input “Street name” and “Street number“, with the first one being required.